Calamus (Sweet Flag Or Acorus) is commonly known drug in traditional system of medicine. It is a tall perennial wetland monocot plant from the Acoraceae family. 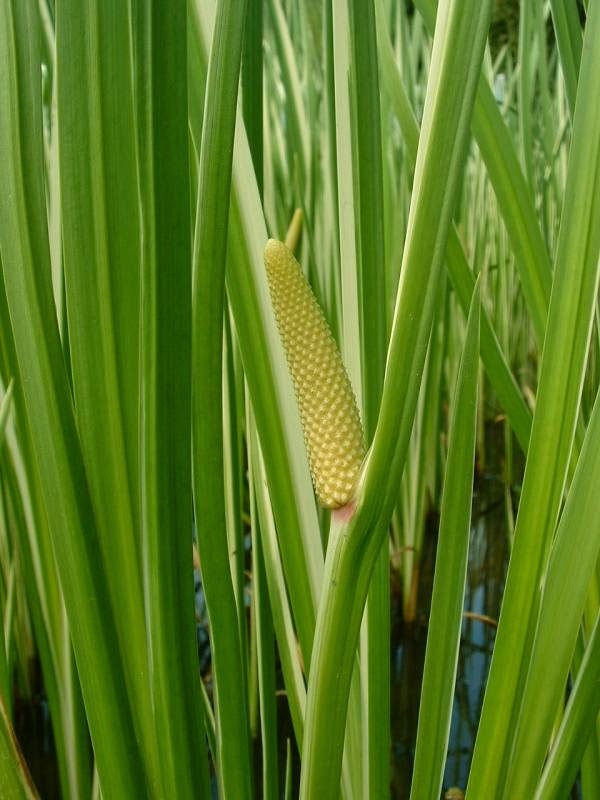 Acorus calamus is a semi aquatic perennial herb with distinctive rhizome. Acorus calamus has long creeping and aromatic rhizomes. These rhizomes or underground stems sprouting leaves have great medical value. The dried rhizome of the plant becomes the drug called calamus. Acorus calamus contains a kind of yellow odorous oil and the leaves of the plant contain oxalic acid and calcium. The scented leaves and rhizomes of acorus calamus have been traditionally used as a medicine and the dried and powdered rhizome has a spicy flavour and is used as a substitute for ginger, cinnamon and nutmeg for its odour. The rhizomes of acorus calamus contain aromatic oil that has been used medicinally since ancient times and has been harvested commercially. The rhizomes are considered to possess anti-spasmodic, carminative, anthelmintic, aromatic, expectorant, nauseate, nervine, sedative, stimulant properties and also used for the treatment of epilepsy, mental ailments, chronic diarrhoea, dysentery, bronchial catarrh, intermittent fevers, glandular and abdominal tumors. Today, acorus calamus is also used as a cooking spice. The medications made from acorus calamus have an antioxidant effect, aside from other special effects on the functioning of the central nervous system in humans. The herbal medications made from the acorus calamus have been traditionally used by the Akha people of Thailand for the treatment of persistent stomachache and other digestive disorders. This medication is also used by the Chinese for treating problems such as sudden bouts of vomiting, persistent diarrhea, acute abdominal pain and long term dysentery. Medications made from this herb aid in removing phlegm and bring on a tranquilizing effect on the mind. Such medications have been used in the treatment of amnesia, in treating heart palpitations, in the treatment of insomnia, in alleviating tinnitus (ear-ringing), as well as in treating chronic bronchitis and problems like long term bronchial asthma. Acorus calamus gives immediate relief in stomach problems. It clears a distended and uncomfortable stomach and also relieves headache associated with weak digestion. It clears flatulence and colic and increases appetite. The acorus calamus root is burnt and ground as a paste in coconut oil and is applied on belly in cases of pain. It has been found useful in treating anorexia, gastritis and gastric ulcers. Children generally have intestinal worms. Acorus calamus is very effective to solve this problem. A pinch of powder can be given in the morning and evening to clear the intestines of children. A paste of acorus calamus can be applied externally in cases of skin disorders like eczema, ringworm and scabies. Acorus calamus improves the recovery process of the brain and nervous system especially after a stroke. A small piece of acorus calamus is ground as paste and slightly heated. Then this warm paste is applied externally on the painful areas. It relieves pain in cases of joint pain, arthritis and even piles. The dried out roots of acorus calamus keep insects at bay. In addition, perhaps this root also works in the form of an insecticide, people in Vietnam use it to eliminate bugs, lice and fleas. The acorus calamus plant also yields an essential oil. Moreover, acorus calamus can also be effectively used in the form of a cover plant, which develops as spreading clumps. 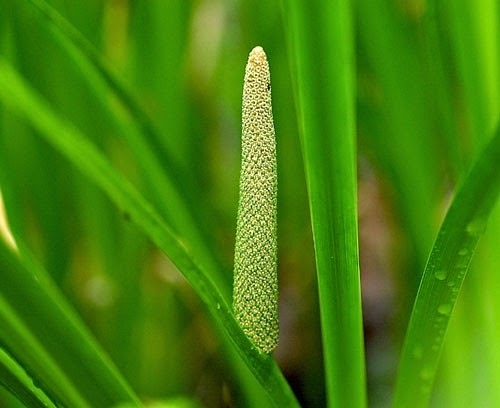 Heart conditions: Acorus calamus might lower blood pressure and heart rate. In theory, large amounts of acorus calamus might worsen heart problems in some people with heart conditions. Low blood pressure: Acorus calamus might lower blood pressure. In theory, taking calamus might make blood pressure become too low in people with low blood pressure. 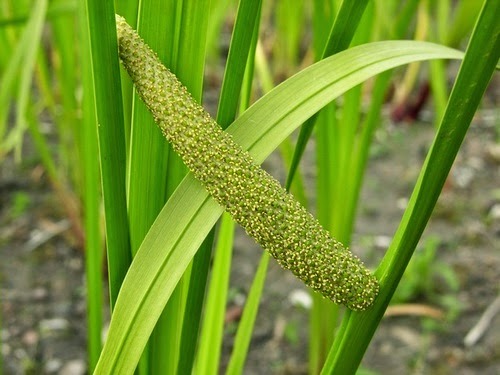 If you are pregnant or breastfeeding, it would be best to avoid acorus calamus, in any form as it stimulates the uterus. Acorus calamus essential oil contains the compound asorone. Asorone has toxic and narcotic side effects and is also believed to be a carcinogenic. Too much acorus calamus taken internally can lead to hallucinations or seizures. Prolonged use may increase the chance of developing tumors and certain types of cancers. Today, acorus calamus should be used only under the recommendation and supervision of a qualified doctor.